With the time change and the arrival of spring, our hours of sun exposure increase. Purchasing sunglasses is therefore essential to properly protect yourself against UV rays. However, lugging two pairs of glasses around can be annoying. That’s why there are photochromic lenses! This type of lenses is ideal for the different levels of light both inside and outside. Photochromic lenses are clear lenses that react to ultraviolet rays. They therefore possess the ability to change colors depending on the light intensity. 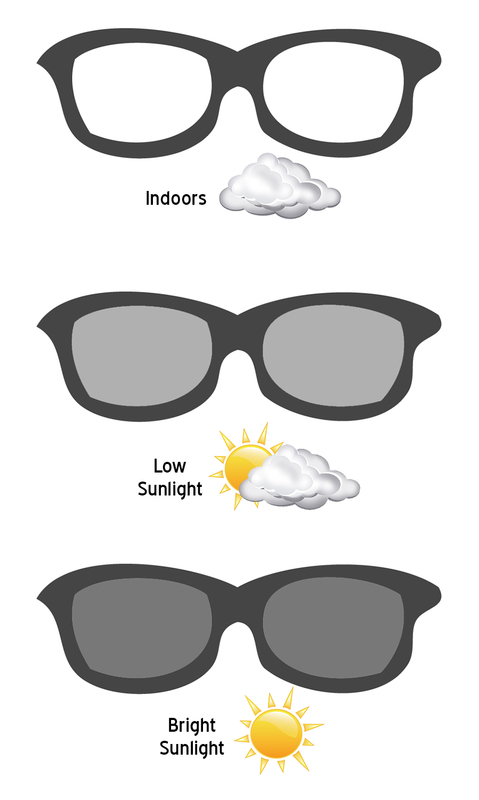 They adapt to environmental changes (indoor, outdoor, high or low brightness). They provide greater comfort, since they reduce eyestrain and glare in the sun. They provide daily protection against harmful UV rays, by absorbing 100% of UVA and UVB rays. They allow you to stop juggling between your pair of clear glasses and your sunglasses.